In the early days of the Studio we were put in touch with Frank & Sandra Smith and their son Ryan by the Make-A-Wish foundation. 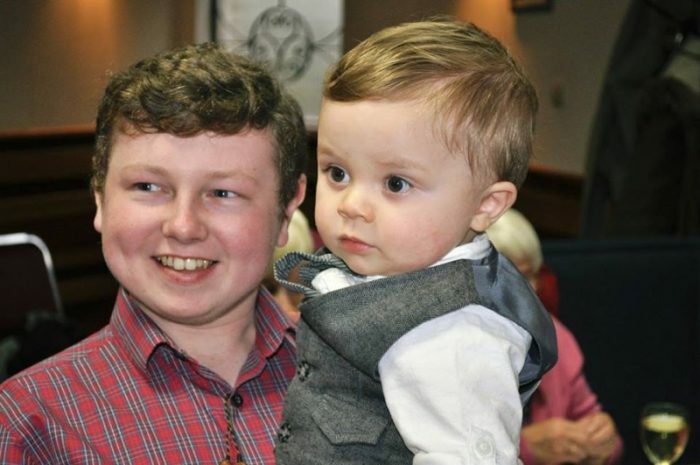 Gravely ill at the time Ryan nevertheless defied all expectations and celebrated his 18th birthday in 2014. By all accounts he was a lively, funny, popular and very talented young man. We were saddened to hear that he passed away earlier this year. 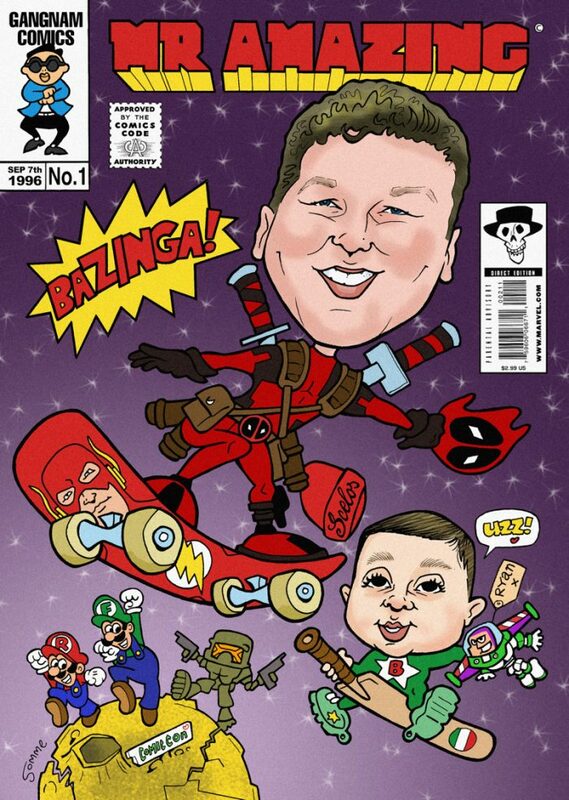 Ryan was a great fan of comics and video games and went to Glasgow Caledonian University where he studied games design. In recent days he was awarded his degree. We are certain he had a fantastic career as a designer and animator ahead of him. 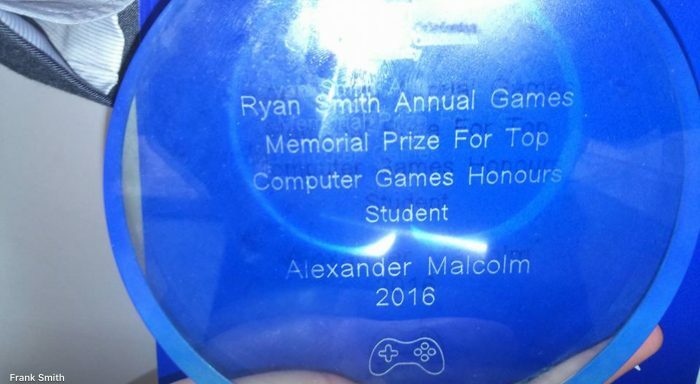 POSTSCRIPT – we were pleased to learn that Glasgow Caledonian University’s games design programme inaugurated an annual prize for outstanding students named in Ryan’s honour. 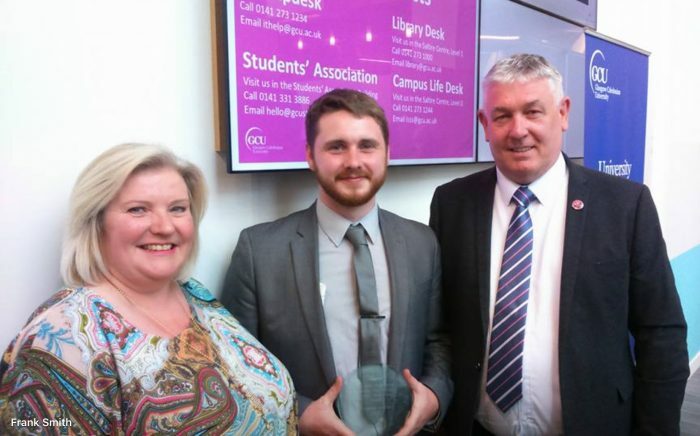 Pictured below is the 2016 recipient, Alexander Malcolm, in the company of Sandra and Frank Smith. We commend the university for this gesture and Alexander for his success.